Are you looking for asbestos removal services for your property in Sydney? Here are some of the most commonly asked questions we often get from our clients. Q: How do I know if my property has asbestos? Asbestos can be difficult to identify just by looking at it. If you want to find out whether your property has asbestos, you can contact the National Association of Testing Authorities or NATA for a laboratory in your area that can take tests. Building materials that were installed before and during the 1980s might contain asbestos, but this isn’t always the case. Asbestos testing involves samples being taken from your property, which are then tested for asbestos. You will need to have asbestos confirmed before you enlist the services of any demolition or removal company to get rid of the problem. If you don’t want to have to pay for testing, you can hire a removal company and treat your property as having asbestos. No, it’s always a good idea to hire a professional who will be able to do the job properly. 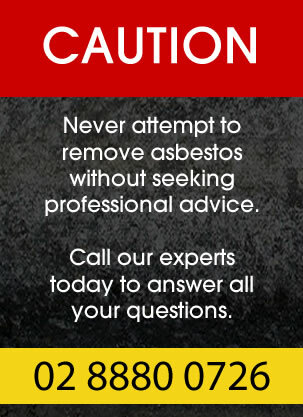 Q: What Qualifications are required to remove asbestos in Sydney? There are two licenses. The Class A license allows someone to remove friable asbestos; the Class B license allows someone to remove non-friable asbestos. An asbestos assessor license is required for clearance inspections and air monitoring. Absolutely. We hand pick the best contractors in the industry and each one if fully qualified and licensed. Asbestos is removed by sealing off the area. Staff will wear protective clothing and asbestos will be disposed of in a safe location that has been approved by a local authority. Q: What is the cost of asbestos removal? The cost of asbestos removal can depend on a number of different factors, such as how severe the problem is and the size of your property. Small jobs can be as little as $250 to dispose of asbestos . A compelte removal project can range of $1500 through to $15,000. It really depends on the type of asbestos and the size of your property. For an estimation, call us today. Yes. Our contractors are fully insured and have the relevant experience to get the job done on time and within budget. We have the skills and experience that you need. Q: What areas do you service in Sydney? We service a number of different areas in Sydney, and will be able to carry out asbestos removal at a time that best suits you. Contact us for more. There are a wide range of payment methods we accept, including debit and credit card. Just contact us for more information. Q. What Are Your Operating Hours. We are open from 9am and close at around 5.30 pm Weekdays. Weekends by appointment only.